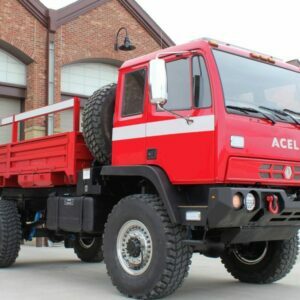 The used air, light and utility trucks for sale on our website are specially designed to carry life saving tools, breathing air equipment and firefighting lighting to the scene. These utility trucks respond to traffic collisions, vehicle extractions, building collapses and in some cases actual fire scenes. Like a light or heavy rescue truck, some utility trucks may be non walk in providing an abundance of compartment storage for rescue tools and equipment. Walk in style utility trucks still offer ample storage but also provide an area to carry firefighters to the scene and in some cases offer an area for command operations. Please use the links below to view the specifics of each used air, light and utility truck for the individual used fire truck for sale. Our inventory changes often so be sure to check our website regularly for new listings of used rescues for sale by Fire Line Equipment, apparatus service, fire truck part specials and fire service industry news and updates related to firefighting apparatus. 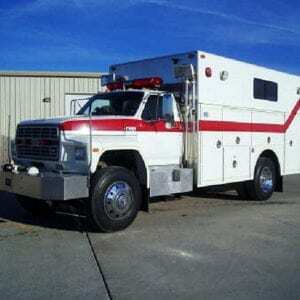 The used air, light and utility trucks for sale on our website are specially designed to carry life saving tools, breathing air equipment and firefighting lighting to the scene. These utility trucks respond to traffic collisions, vehicle extractions, building collapses and in some cases actual fire scenes. Like a light or heavy rescue truck, some utility trucks may be non walk in providing an abundance of compartment storage for rescue tools and equipment. Walk in style utility trucks still offer ample storage but also provide an area to carry firefighters to the scene and in some cases offer an area for command operations. Please use the links below to view the specifics of each used air, light and utility truck for the individual used fire truck for sale. Our inventory changes often so be sure to check our website regularly for new listings of used rescues for sale by Fire Line Equipment, apparatus service, fire truck part specials and fire service industry news and updates related to firefighting apparatus. Contact our Sales Department at 877-346-1373.